How often does it happen that you are driving around Tehachapi keeping an eye out for new real estate signs and you see one that says “Coming Soon?” What does this mean? Usually, “Coming Soon” signs are put up on behalf of sellers of foreclosed properties. 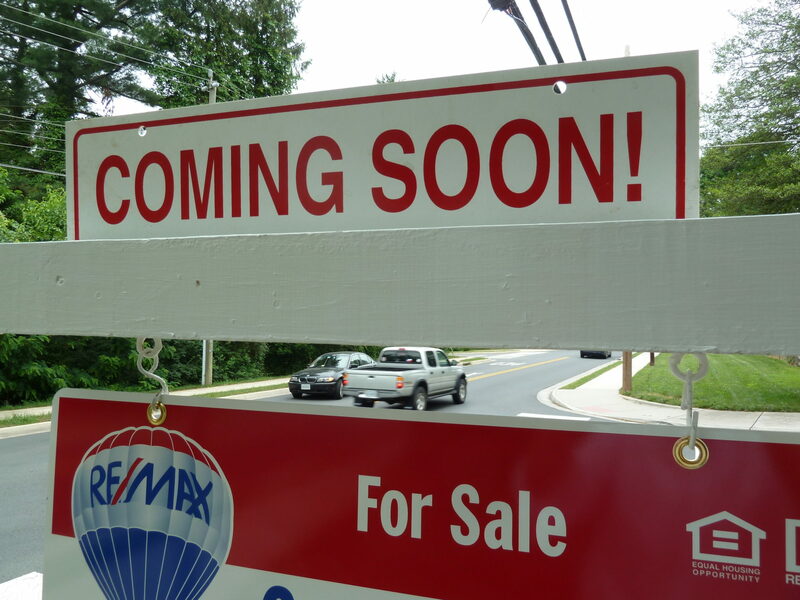 For an excellent article on why putting up a “Coming Soon” sign is a bad idea for a conventional seller, check out Doug Francis’ blog. Most often, in the Tehachapi area, these signs are an indication that a property will be offered for sale at some point. These properties are referred to as pre-listings. They give the opportunity to generate interest even before the property is ready to sell. When properties have been foreclosed, they may not be immediately ready to sell. If repairs are needed, the seller may want to have those done before officially listing the property. There could also be title issues that need to be resolved before a property can be resold. A variety of issues can delay the official marketing of a property. As a potential buyer, you may be tempted to call the number on the sign, but I suggest that you call your REALTOR® of choice. Remember, your REALTOR® can provide all the information you need about any properties in the area and protect your best interests at the same time. If you have any questions about this or other Tehachapi area real estate questions, feel free to contact me. Looking for a REALTOR® to help you with your move? Let’s talk about what you’re looking for! These “Coming Soon” signs continue to drive people nuts… not just me but people who I bump into at the market or getting coffee. They are confusing especially when it has been up for two weeks! My feeling is that your house should be 100% ready for a buyer on day one that the sign is in your yard. You do want to sell it, right? And know that potential buyers have a lot to look at and can lose enthusiasm if they feel they are being toyed with. So wait a few days and don’t play games. I completely agree with you about NOT using “Coming Soon” signs! Unfortunately the “asset managers” apparently don’t think like you or me! Two weeks? We often have Coming Soon signs up for months! I have noticed far more “coming soon” recently. In my opinion it’s a way for real estate agents to generate a false sense of urgency and to manipulate real estate records, making them more optimistic than reality. That in turn drives up the price. it means the lender is wlnliig to sell it for less than whats owed on it, means nothing to the buyer, implies a bargin, but not necessarily true, unless they are selling it for less than what the current appraisal is. far to many folks in todays world got inflated appraisals, borrowed the maximum up to 100 or 125% of the apprasied value, yes u could borrow more than the property is worth, then they defaulted and the lenders have gotten the properties back where the borrower owed more than they are worth, so the lender is selling for less, they call it a short sale, but dont always tell u the true value, be careful, due your due dilegence and get a good current appraisal, dont let the realtor or lender tell you well it appraised for x dollars 6 months ago, get a current one before making a decesion gl.References : Was this answer helpful?